Gordon Boyd, TV host of the 1960s and 1970s, has died in Sydney at the age of 86. A familiar name in the United Kingdom, Boyd first came to Australia in the 1960s to star in a stage musical, Wildcat, that folded after eight weeks but by then Boyd and his wife Joan had already developed a taste for Australian sunshine and planned to stay. A series of guest appearances on ABC’s The Magic Of Music led to Boyd hosting his own show, The Gordon Boyd Show, in 1964. 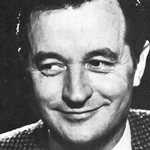 In 1965, Boyd started five years as host of the weekly talent quest Showcase, one of the first ‘national’ variety shows to come out of the 0-10 Network when it was formed in the mid-‘60s. 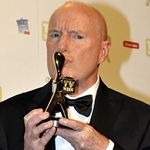 The show won a TV Week Logie in 1966 for outstanding contribution to development of talent. 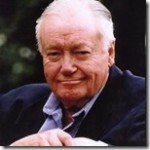 He returned to host the show when it was revived by the Nine Network in 1974. 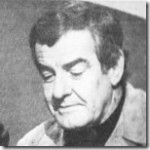 Boyd also hosted 1960s daytime shows Gordon And The Girls and The Marriage Game. He also made guest appearances in A Country Practice in the ‘80s and All Saints in 2003.